You need to visit some friend of yours but have to wait for someone to give you ride or have to use the public transport even when you have motor bike of your dad but he will not allow you as you donâ€™t have driving license. Many people have to face similar situations where unwantedly you have to depend upon others because you donâ€™t know basics of driving. Dhoot Driving School solves your purpose then helping you to become independent. At Dhoot Driving School professionals help you to build up expert driving skills and that too within a very short time span. 1-	As we know that in order to get a driving license certain driving tests are being conducted and if one is not trained properly for this then the chances of failure in the test are very high. 2-	Most people consider themselves as average driver but good drivers are not born they are made. And to become a good driver one needs specialized training. 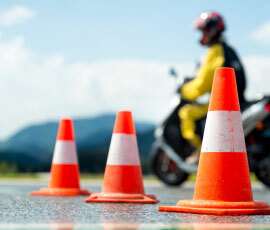 3-	Such training courses can reduce the risks, the embarrassment, injury and enormous costs associated with a crash. 1-	DSA approved trainers: To make you aware with all the basics and technicalities of driving. 2-	Affordable course costs and easy availability: Prices are that you can easily pay and courses are available all over Camden Town. 3-	Training with Safety: Safety of the participant is of major concern during the training. 4-	PVC Pass Protection: We believe that the success of customer is our success therefore we provide you with money back guarantee till you pass the driving tests. 5-	No Language Fixation: We operate as per your choice of language and for that we have trainers for various languages such as Spanish, French, English, etc. Large Goods Vehicle (LGV) Training or Heavy Goods Vehicle (HGV) Training: The big vehicles like trucks, Lorries or conversion vans and driver camper used by people while going on a vacation come under this category. And for such vehicles driver needs to have proper balancing skills. Passenger Carrying Vehicle (PCV) Training: Includes vehicles like buses, vans being used for carrying passengers require special training different from LGV or HGV Training. Driver Certificate of Professional Competence (CPC) Training: It is for the drivers of buses, trucks, Lorries, vans etc. â€¢	C1-License Training: For drivers who want to drive medium size vehicles. Minimum age required: 21 years. â€¢	C1 + E License Training: For people requiring to drive trucks and Lorries but for private use only instead for public usage. â€¢	C1 + E – 7.5t and trailer Training: For those who want to drive vehicles having maximum weight as 7.5 tonnes. â€¢	C – up to 32 tonnes Training: For those who aspire to drive Lorries with luggage up to 32 tonnes. â€¢	C + E Truck & Trailer Training: This is for people who need to carry more heavy weights i.e. up to 42 tonnes, also allows them to use Articulated or Drawbar combinations. â€¢	D1 Minibus Training: For people who want to drive minibuses. â€¢	D1+E Minibus & Trailer Training: For people who need to drive trailer with 21 passengers but weighing less than 750 kg. â€¢	D Automatic Bus Training: For those people who want to drive the modernized buses with facilities such as wheel chair and many more. â€¢	D Manual coach Training: Required to drive the vehicles such as single or the double-decker buses. â€¢	D+E Coach and Trailer Training: Various categories are there and you need to choose among them accordingly. CPC Driver Training: This is compulsory for all drivers. Module 4 and 2: Are important for all who want to have license. Module 2: Includes theoretical aspects of driving as well as contains CPC case study to test seekers of license. Being periodic with 5 year time interval for keeping the driving license. Certificate of Professional Competence (CPC Theory Test): Basically a written theoretical MCQ for testing new. Consists of 50 questions regarding learning experience required for road safety, driver alertness, accidents, maintenance of vehicle along with documents of the vehicle. In spite of being a theoretical test it also looks for the desired practical knowledge regarding driving in the driver. 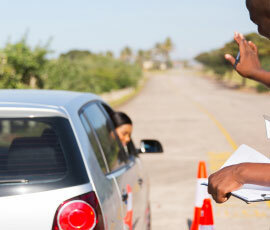 Refresher Training Course: This course is vital for sustenance of the driving license. And so the license driver needs to pass this test in duration of 5 years. DHOOT Trainers provide participants enough confidence to pass any of the tests.